Urban renewal — an oft-used yet regularly misunderstood funding tool — has reshaped Wilsonville, a community that just a few decades ago was largely rural. It helped redevelop Wilsonville Road, construct City Hall, build Villebois and is facilitating the emerging Coffee Creek employment district. In fact, as of 2017, 24 percent of the city was covered by urban renewal and 6.5 percent of the city's assessed value derived from urban renewal areas — a percentage that will likely increase once Coffee Creek is filled out — according to the City's 2016-17 urban renewal report. Along with Wilsonville, Hood River, Newport, Lebanon, Salem and Portland are the only cities in Oregon with at least three urban renewal districts. Clearly, urban renewal — which invests taxes tethered to increases in property values within a designated district and uses the money to build infrastructure that attracts private development — is a fundamental aspect of the City's growth strategy. But it doesn't come without cost and potential risk. During an urban renewal district's lifespan, which typically lasts about 20 years, the taxes from increases in property value that normally funnel to other jurisdictions — such as the City, the West Linn-Wilsonville School District, Clackamas County and Tualatin Valley Fire and Rescue — instead filter into the urban renewal district. TVF&R experienced an approximately $976,801 loss of revenue in 2017 due to Wilsonville's three urban renewal districts while the county projected it would lose $2.6 million from the City's Year 2000 Urban Renewal District alone from 2018 to 2023. Wilsonville also takes on debt to fund projects within its districts. On the other hand, if urban renewal significantly increases property values once the district closes and the tax revenue returns to jurisdictions, the extra revenue could lift all boats. would growth have occurred without it? If it's the former, increased property values significantly benefit all taxing districts. If growth would occur anyway, urban renewal unnecessarily funnels money away from vital public services and wastes taxpayer money. Is urban renewal worth it? According to City officials, Wilsonville's two long-standing urban renewal districts have achieved staggering successes that wouldn't have materialized without urban renewal. The value of property in the Westside Urban Renewal Plan Area, which was created in 2003 and facilitated development in Villebois, increased from $16 million when the district was created to $453 million in 2017. And the property value in the Year 2000 Plan Area, which was adopted in 1992 and has facilitated the development on Wilsonville's eastside and Old Town, skyrocketed from $44 million to $438 million. According to the Oregon Department of Revenue website, of the 100-plus active urban renewal districts in the state, the Westside and Year 2000 districts have experienced larger increases in value than any district outside of Portland and Gresham. 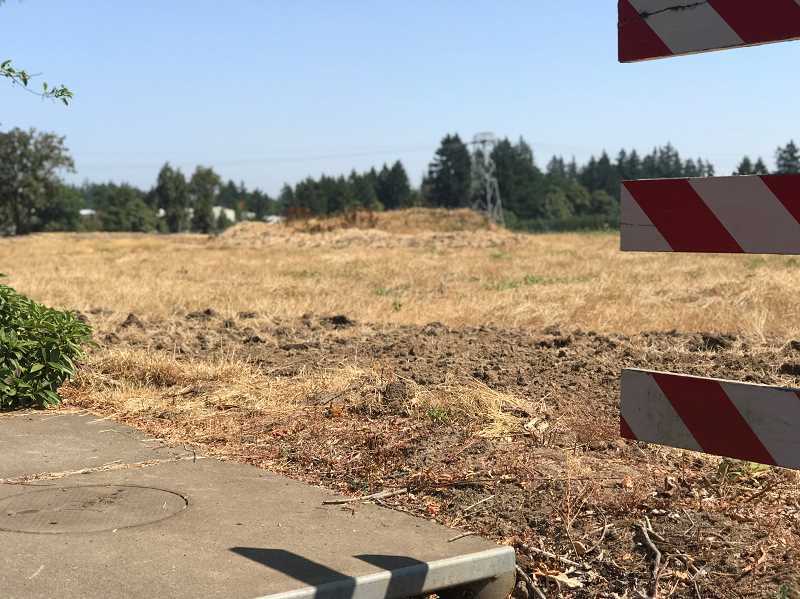 Wilsonville Community Development Director Nancy Kraushaar also said the City would have no trouble paying back the debt it accrued to jumpstart development in the two districts. In 2017, the City's maximum indebtedness for the Year 2000 district was $92 million and $49 million for the Westside district. Wilsonville Mayor Tim Knapp believes urban renewal is the most practical way to fund large-scale public infrastructure projects and facilitate development. "The reality is we would not have Villebois without urban renewal. We would not have Wilsonville Road all the way through town improved with wider streets and sidewalking," Knapp said. "There's many examples of amenities that have made Wilsonville a desirable place for residents and business that track back to public investment made through urban renewal." Kraushaar said funding large infrastructure projects like the proposed Boeckman 'dip' Bridge, which is slated to be funded through the Year 2000 district, could have been financed through system development charges and other revenue sources but this route would require considerable time, prudence and planning. Without the possibility of accessing an alternative, urban renewal-less universe, it's impossible to say whether the City's support of urban renewal has been the best choice. And according to a pair of studies by the the Lincoln Institute of Land Policy think tank using data from 235 municipalities near Chicago and later in Illinois as a whole, cities that used urban renewal did not grow at a faster rate than cities that did not use urban renewal. The studies also showed that growth in commercial districts bolstered by urban renewal can hinder growth in other commercial districts. It posited that areas slated for development typically grow regardless of urban renewal. Many other high-growth cities in Oregon have used urban renewal but typically not as much as Wilsonville. "TIF (tax increment financing) districts grow much faster than other areas in their host municipalities. TIF boosters or naive analysts might point to this as evidence of the success of tax increment financing, but they would be wrong," the authors of the 2006 study wrote. Knapp, though, said private developers need cities to invest in facilities such as roads, water pipes, sidewalks and parks to feel comfortable investing. And he said urban renewal is a city's only option to fund such improvements. "One point is that there are virtually no other tools available to a city like Wilsonville that enable us to bootstrap the development of public services and physical infrastructure by having the subsequent development actually pay for these improvements. By creating an urban renewal district we (the City) could do that," Knapp said. Wilsonville's development exemplifies a change in the way urban renewal is used nationwide. According to a law review article by Richard Briffault, the professor of legislation at Columbia Law School, urban renewal was initially utilized to eliminate blight in already developed urban areas but is now designated in "undeveloped land in the suburbs, at edge city highway interchanges, and in former cornfields." In Oregon, cities create urban renewal districts without much state oversight but must follow the state's requirement of using urban renewal solely in "blighted" areas. The State of Oregon's definition of the term blight, which includes the existence of inadequate streets and other rights of way, open spaces and utilities, leaves ample room for cities to justify the use of urban renewal. In turn, Wilsonville often utilizes urban renewal to build up relatively undeveloped areas rather than re-create areas that are already developed. Before urban renewal, Villebois was made up mainly of vacant lands, a defunct hospital site and farm land. The Year 2000 Plan Area was mostly undeveloped and Coffee Creek was also underdeveloped. Kraushaar indicated that impressive growth is easier to achieve in undeveloped areas than when revitalizing existing infrastructure. "It really helps to be starting with a very low frozen base (the tax level when an urban renewal district is created) so you can see a much more exponential tax increment (growth in the tax level)," she said. Though they lose revenue in the short term, the City's adjoining taxing jurisdictions appear to believe in the long-term value of urban renewal. TVF&R Public Affairs Chief Cassandra Ulven said TVF&R is satisfied with urban renewal as long as it is used to spur economic growth rather than for amenities that aren't proven to increase property values (such as redeveloping a police or fire station). She also said the fire district seeks inclusion in the urban renewal deliberation process. "We support our municipal partners' efforts to create jobs and promote economic development," she said. "We feel that properly used urban renewal plans can ultimately benefit all of the public service providers." 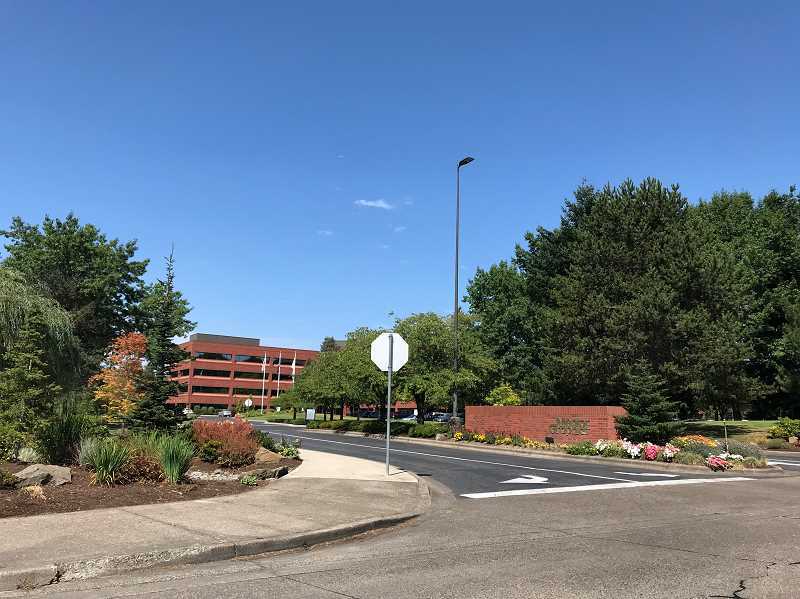 And the Clackamas County Board of Commissioners indicated in its approval of a resolution to allow the City of Wilsonville to extend the Year 2000 Urban Renewal District that urban renewal financially benefits the county. Because the state of Oregon pools revenue from property taxes to fund schools and distributes those funds evenly on a per-student basis, the WLWV school district is not directly affected by the addition of urban renewal in Wilsonville. But, theoretically, the proliferation of urban renewal districts statewide lessens public school funding. However, former WLWV School District Chief Financial Officer and current district consultant Doug Middlestetter said infrastructure improvements near district property, such as the Boeckman 'dip' Bridge project, can positively impact the district. "Our students live here, parents, staff; we like to be supportive and cooperate with the city and its needs," he said. "That (the bridge) will greatly enhance the safety and transportation of our students and the public." And Kraushaar said city facilities have not been affected much by urban renewal, either. "Wilsonville taxes that were forgone for urban renewal districts has never not allowed us to provide complete services to the facility in terms of police, public works, library, parks," she said. "Those don't seem to have been lessened at all by having urban renewal districts." The end of urban renewal? On the surface, urban renewal's future in Wilsonville could be limited. According to state law, urban renewal districts can't cover more than 25 percent of a city. About a percentage point away from that limit in 2017, Wilsonville could only expand its urban renewal allotment if it were to remove a portion of one of its districts from the urban renewal area (which it has done in active districts) or increase the size of the city through extending the urban growth boundary and annexation. The City is currently lobbying the Metro regional government to include Frog Pond South and East into the urban growth boundary while looming annexations in Basalt Creek could also expand urban renewal's potential purview. In the nearly 30 years since Wilsonville's oldest urban renewal district was formed, the city's population has grown from 10,000 to over 24,000, economic drivers like Mentor Graphics and FLIR Systems have burgeoned and the Villebois neighborhood has helped balance the City's industry with housing inventory. To Knapp, imagining an alternate reality without urban renewal in Wilsonville is unproductive. The results, he said, speak for themselves. "You can always make suppositions but there's no way to demonstrate that you have a better outcome," he said. "What you can demonstrate is that the private sector is indicating that they don't have the capacity to spend on public infrastructure."